Cream cheese is extremely versatile. You can add it to sauces, create baked goods, top your bagel, add it to your sandwiches, and much more. 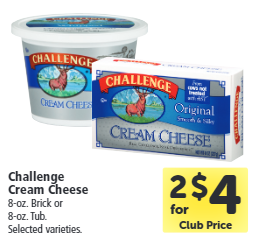 Beginning tomorrow, January 30th, head over to Safeway and pick up Challenge Cream Cheese on sale for $2.00 through May 15th. Then use the $0.75/1 printable coupon at the register (will double to $1.00) to drop your final price down to $1.00. You’ll save 67%! 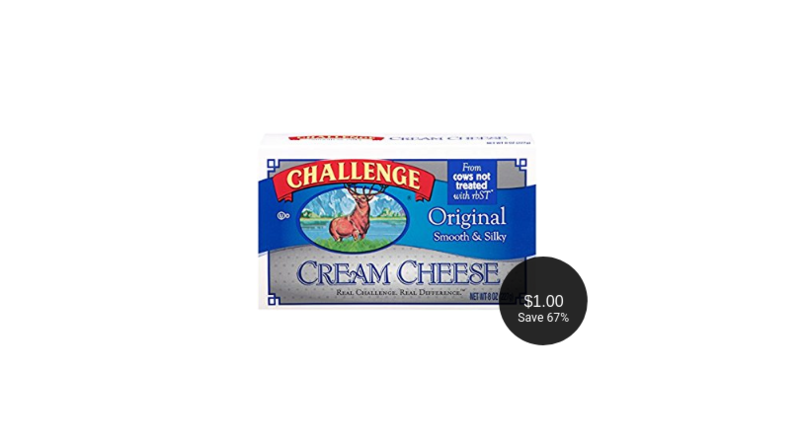 Final price = $1.00, save 67%! This is perfect for making dips for the big game this weekend. 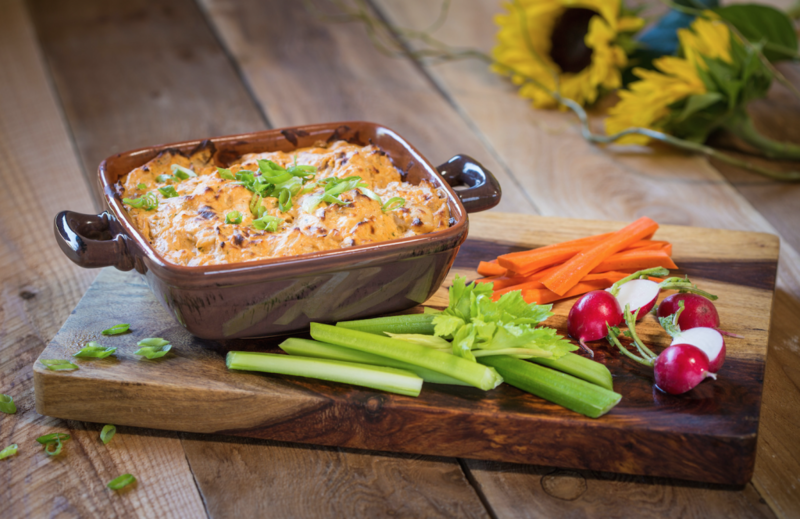 Use this cream cheese in the Buffalo Chicken Dip Recipe.